Respect each person's essential human dignity. 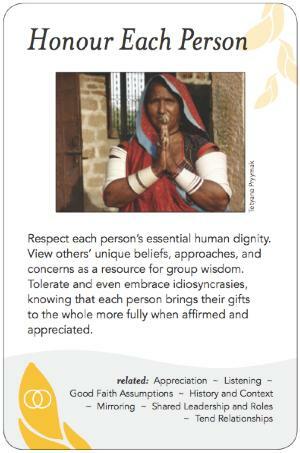 View others' unique beliefs, approaches and concerns as a resource for group wisdom. Tolerate and even embrace idiosyncrasies, knowing that each person brings their gifts to the whole more fully when affirmed and appreciated.